Had the opportunity recently to check out the full line of lenses from Zeiss. I packed it out in a Lightware MF1217 for a road trip to SanDiego. Besides being a perfect size carry on, the stealth look, it didn’t scream CAMERAS IN HERE! The lenses were a joy to work with. Probably may favorites were the 85 and the 18. It was only play time for me a few hours a day but at least some play time. Spent some time at the beach and in the restaurants. The manual focus reminded me of how it used to be. When those of us who are old enough to remember film with all its wonders and headaches. Packing along rolls of film and marking the test rolls to process first and then determining push or pull processing on the balance. Now, if you don’t like it, just keep the “Trash Can” handy. I also got to thinking how technology has changed the medium. Usable ISO to unbelievable ratings that couldn’t even be imagined years ago. The computers in the cameras making micro second decisions before exposure. Flashes that can flash what its thinking and what his buddy flash should do. Amazing. But what technology hasn’t brought to the party is vision. You have to see what is in front of you. Really see. The light, the color, shape, form, texture, size, the relationship to other objects, foreground, background, middle ground and even the subject. In today’s market it seems that anyone with a “professional” camera is/can/could be a professional photographer. I can’t begin to see how “Uncle Jimmy” can become a professional after the purchase of a D3s. Now he can do the annual report photos because he has a “pro” camera? How soon we forget that the camera does not make the professional. It takes years of practice and practice to be excellent at your profession. So I keep on practicing every day. It keeps me sane and keeps me aware that those of us who “see” are a unique bunch. 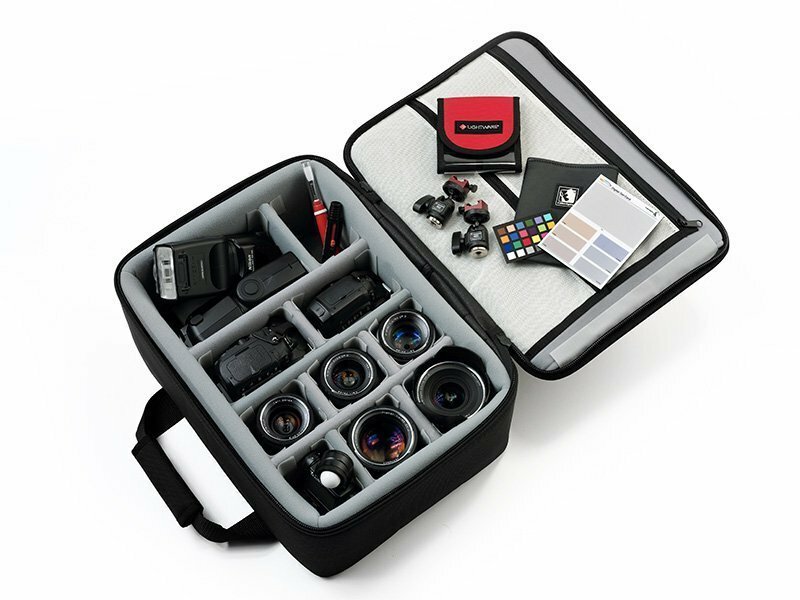 The Lightware, MF 1217 – Multi Format Camera Case, is the perfect protection for a set of Zeiss prime lenses and a road trip to San Diego. Available at lightwaredirect.com case and dividers, not all the gear. Ya I know, I had to say it. I have Zeiss Lenses, a Sekonic 508, 2 Nikon SB 900’s, Nikon D700 and D70, Integrated Color Card, Mini MacBeth Card, Visible Dust Brush, Lens Pen and some Manfrotto Stand adapts.